Peter And The Wolf; Australia; RCA, ARK1 2743; 1978. 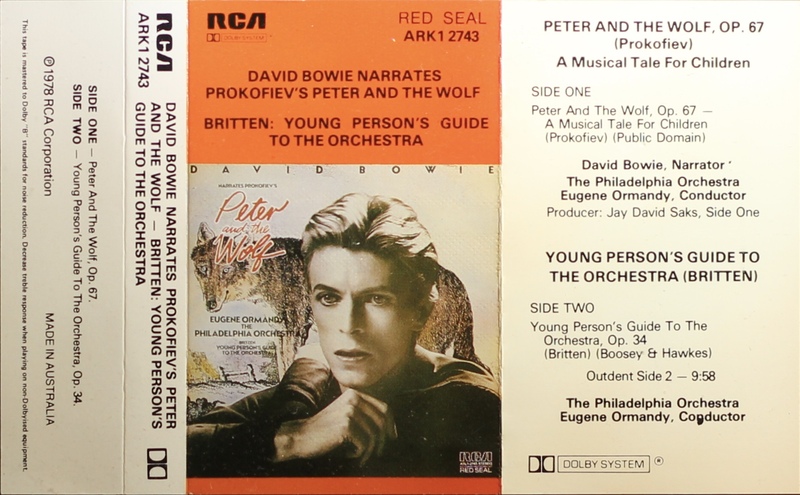 ‘David Bowie Narrates Prokofiev’s Peter And The Wolf – Britten: Young Person’s Guide To The Orchestra’. Cover photo with orange top third and bottom stipe; white spine, inner and rear half-panel. Folded, treated, thick paper with track list on the rear and inner panels. Inside panels are blank. ‘Made In Australia’ on rear panel. 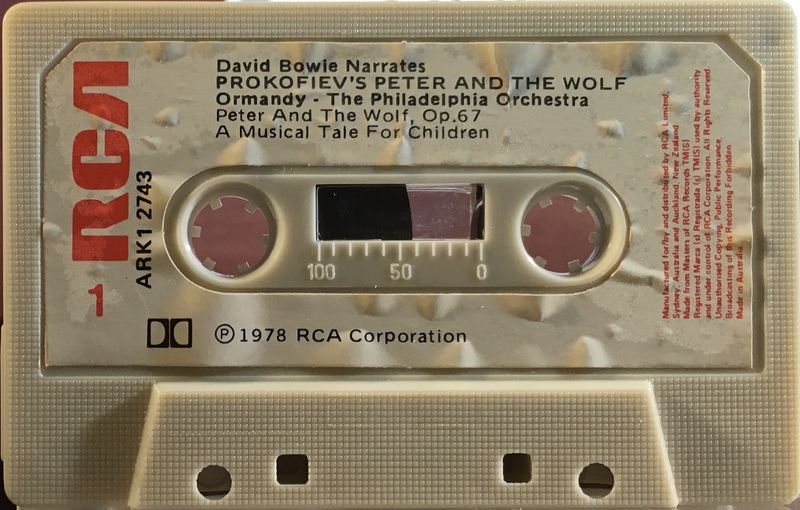 Side 1: David Bowie Narrates Prokofiev’s Peter And The Wolf. 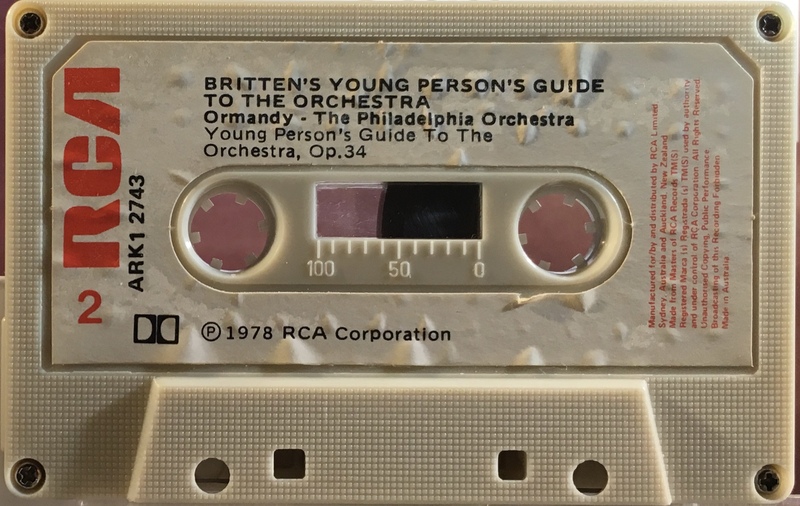 Side 2: Britten: Young Person’s Guide To The Orchestra.